To use textures with resolutions up to 16x from predefined textures Minecraft 1.8 and 1.7, we need to use MC Patcher 1.8 and 1.7. With this tool we can enjoy the new textures from all different resolutions. This is an external tool, which we musn’t directly mix with the game, we only have to indicate the installation path of your Minecraft, so that patch your .jar file and then you can use the new and fantastic textures. 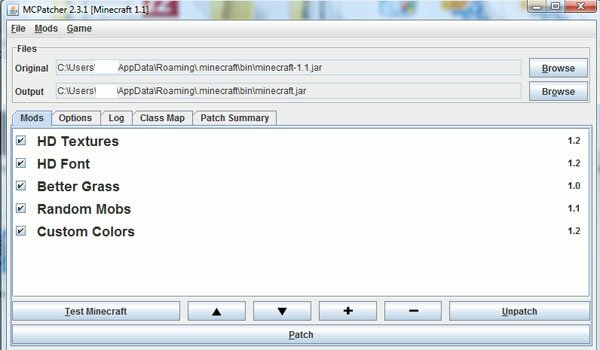 How to install MC Patcher for Minecraft 1.8 and 1.7? Run and specify the installation path of our Minecraft. Now we can enjoy the new textures!